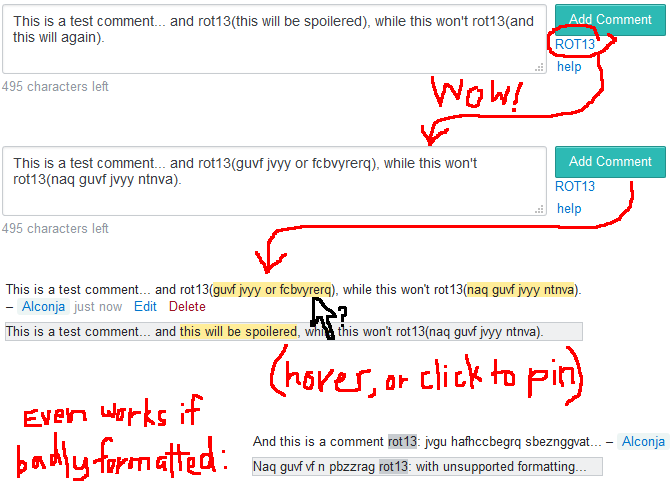 Spoilers get used pretty heavily on Puzzling.SE, and people have taken to using rot13 in comments (and chat) since there's no official spoiler mark-up outside of questions/answers. That's annoying, but this script will make your life easier. Tested with Greasemonkey in Firefox and with Tampermonkey in Chrome. Browse other questions tagged script greasemonkey comments .